Can a single sided printer print on both sides of the card? Yes, a single sided card printer can print on both sides of the card. Yes, a barcode is a printed technology and is similar to a font. Be sure to use a ribbon with a K black panel for crisp printing that can be read by an infrared barcode reader. Does the id card need maintenance? Do I need to clean it? Certainly. 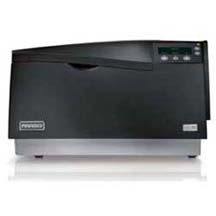 Every printer model needs regular cleaning and occasional maintenance. Special cleaning supplies should be kept on hand to ensure cleaning can be done when it’s time. The time in between each varies from printer to printer. See manufacturer specifications for more details. 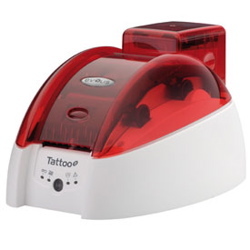 A retransfer printer is when printing the card, it passes through the printer without touching the printhead by way of printing on the transfer film, that is then thermally transferred on to the card surface. What does DTC and retransfer mean? DTC = Direct To Card printing where the printhead comes down on the surface of the card. Does a card printer laminate? 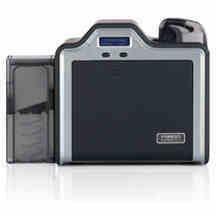 Most card printers do not laminate a card unless they have a separate lamination module. The standard print process of DTC or Retransfer printing issue a card that is ready for use without the need for manual lamination. 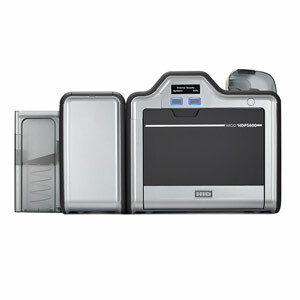 You will need some kind of design software for producing ID cards with a card printer. The printer comes with drivers to install on your computer. ID software allows you to design a card and manage the production which often includes a database. Most card printers connect to your computer via USB or Ethernet. Several models have the optional upgrade to wireless printing if you have an established wireless network. Does the printer come with supplies? Everything? It all depends on if you a first time purchase and has no current printer or if you are upgrading to another model, but we usually provide the supplies that you need to get up and running. Can I use any ribbons with my printer? Card printers have their own proprietary ribbons that work with each model. If you upgrade to a new model you may be able to trade in your old ribbons for new ones. Can you guys install it for me? We have training that are available to assist with the installation and general use of printer for a fee. Does it come with a loaner? 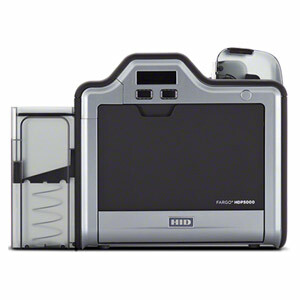 Some card printers come with a loaner for the first year of the warranty in the event your printer needs factory repair. If you want to make sure you have access to a loaner, be sure to ask for a Gold Support Plan. Are the printed cards durable? Yes. Printers tend to last up to 5 years with proper maintenance. Every new printer comes with a warranty which varies from 1 to 3 years. The warranty coverage also varies by manufacturer and model since many have a depot only service. If you are concerned the basic warranty will not provide the support you need, be sure to ask about our Gold Support Plans. The products in our industry are used for security applications and have strict return policies to prevent fraudulent use. In general, items must returned within 30 days of purchase in brand new, unopened packaging. If you need to return or exchange an item, you will need to request an RA (Return Authorization) so we can coordinate the process for your organization. For more details on our return policy, click here. How long does the printer last? 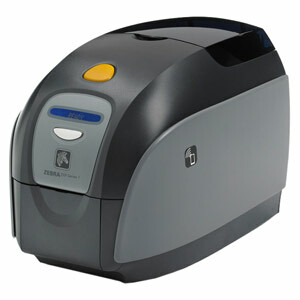 Most card printers can be expected to perform for at least 5 years. If you take proper care and conduct regular maintenance it may continue to work even longer. What size cards can I print? CR 80 30 mili size in standard in the industry and is also the same size as a credit card. How many cards can it print? 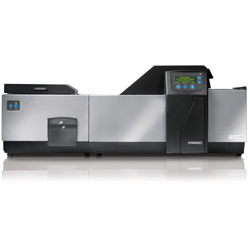 Every printer has an input hopper that can hold blank cards as well as an output hopper to catch and collect finished prints. The size of these hoppers can vary from printer to printer, but 100 cards waiting to be printed and then 100 or 200 cards held in the output bin is typical. The printable surface required for card printing is quite specific. It must be an ISO glossy finish that is clean of scratches or debris. The standard card stock is 100% PVC, however many applications that expect greater durability or rely on retransfer printing use a composite card that has the same surface. In general, you cannot print on laminated cards, or any other material that is not specifically designed for receiving the color from dye sub printing. Every printer we sell comes with a Windows driver which allows you to install it on your computer for use with any program. A limited number of printers have a Mac driver available. Many printers also have a workbench software along with the driver for conducting maintenance or managing other controls in your printer. None of the printers come with ID software for designing cards or managing a database, unless you purchase a complete ID System or get a version separately. Can it be used on a Mac? Windows XP/7? Linux? If you are looking to use a Mac, they are printers and a software that would have to work together be able to work on the Mac. In the industry the printers are deigned to work on Windows PC. Can it print from my mobile phone? None of the printers in our industry allow for direct printing from a mobile phone. When will my printer need more supplies? Most printer consumables come with a fixed use rate, such as the number of prints in a ribbon. The number of remaining prints can be checked through the printer software, so planning ahead to have more consumables on hand is easy. 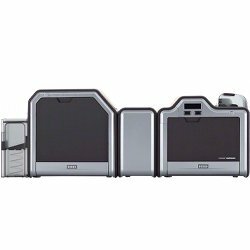 Can a printer be upgraded later with more features? Different model printers have different upgrade capabilities. Some are modular and can have extra hardware features added on by attaching them. Others have some upgrading available through software. Some are locked with the features they have at purchase. Please contact our sales team to let us help you decide which printer has the right features you need now and has the ability to grow with your organization.